Be consistent with your printed stationery and your image will implant itself into your clients' minds. You will be impressed with the thickness of these with compliments. Whilst most use 80-90gsm we use 100GSM as standard. 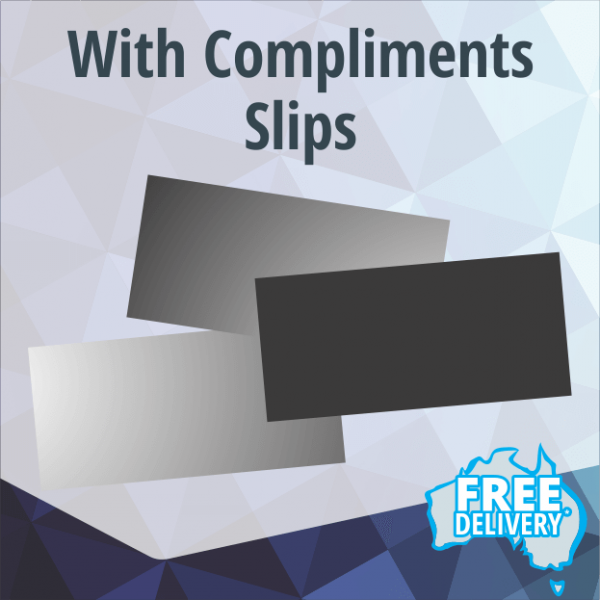 These with compliments slips are the standard size to fit business size DL envelopes without any folding. Product Dimensions - 210mm x 99mm.